ALLEGRA BOVERMAN/Staff photo. Gloucester Daily Times. 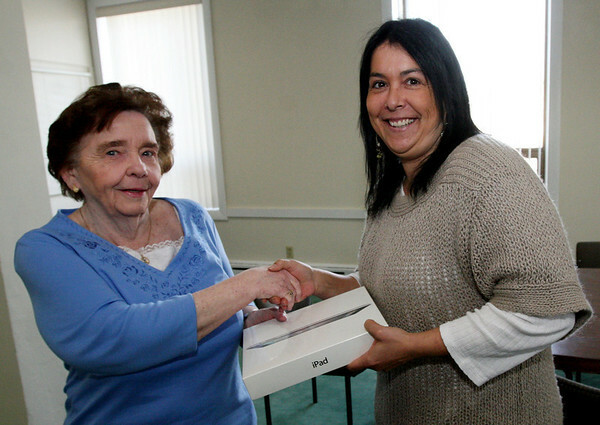 Gloucester: Marilyn Blatchford of Gloucester, left, won an iPad. She is with Christine Madruga of the Gloucester Daily Times Circulation Department.